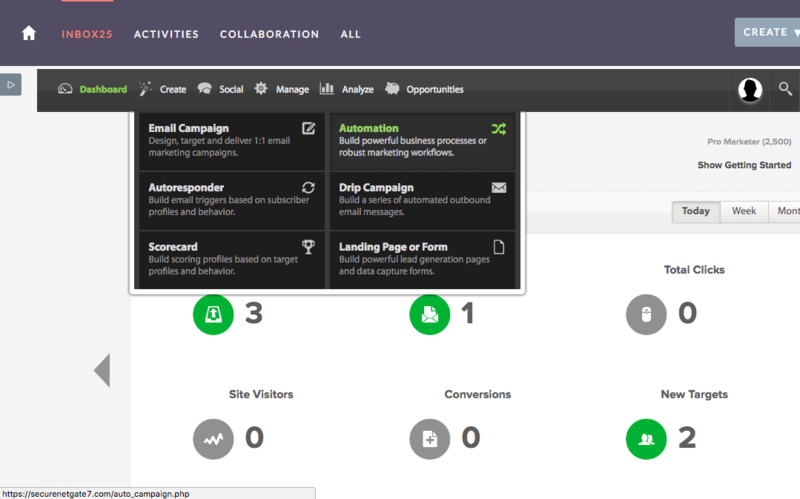 New to marketing automation? Well acquainted with the concept, but feeling overwhelmed with no idea where to start? We have been there which is why we created INBOX25 specifically for SuiteCRM. In fact, there isn't another marketing platform in the SuiteCRM ecosystem that integrates as deeply as INBOX25 does. While having a great tool like this is a must, it does no good if you don't know how to use it. That is why we will be with you along each step of your marketing automation journey. We work with you to understand your business, who your customers are, how you generate your business, and match that with the best practices that we have found to make you as successful as possible. We even do the initial set up for you. INBOX25 is designed specifically for SuiteCRM. No other solution can say that. That matters as it means that we can provide the most accurate, timely data possible which in the marketing world is often the difference between generating new opportunities or not. Supports 13 native SuiteCRM modules. More than any other platform. 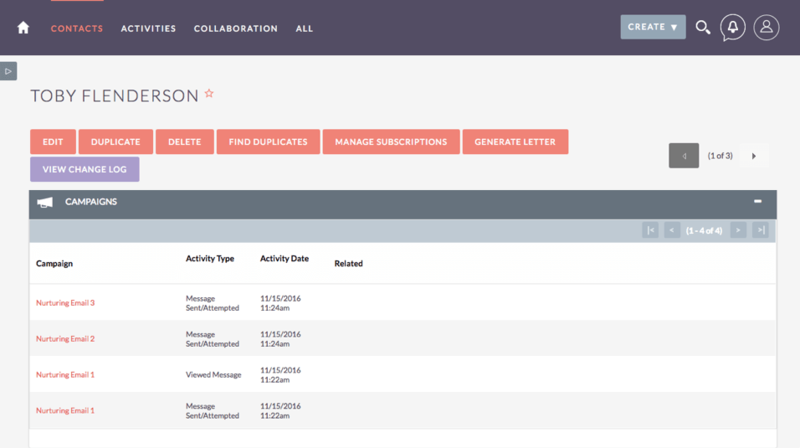 Access the entire INBOX25 platform from inside SuiteCRM, without any tab hopping. Supports SuiteCRM's flexible B2B or B2C approach. 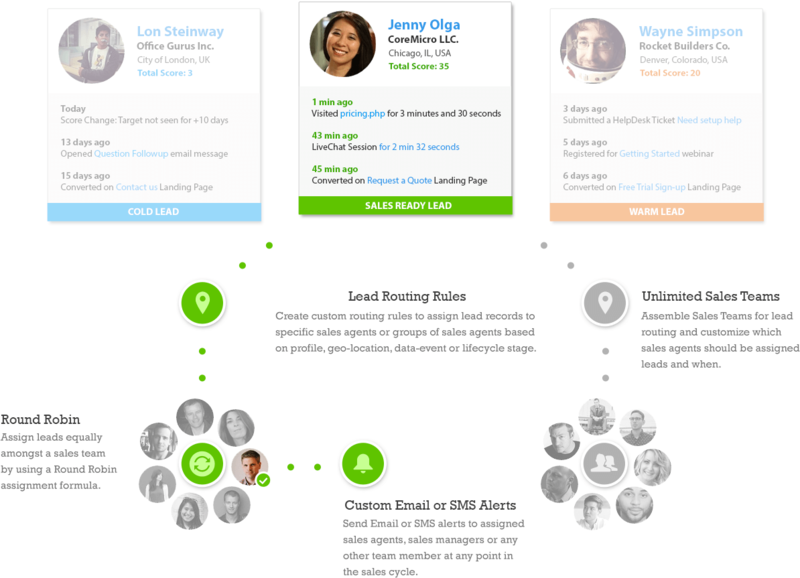 Access to Leads based on SuiteCRM's user permissions. INBOX25 covers the whole customer journey from attracting leads to closing opportunities. Take a look at some of the many capabilities below. To see it in action and how it could work for your needs sign up for a demo. Easy-to-build landing pages and forms that will drive lead generation and more intelligent nurturing. Get started with our easy-to-use page builder or export to your own style. We're passionate about intelligent email marketing and its the cornerstone of our application. Unlike most marketing automation platforms, for us, email isn't an after-thought. Its one of our core-competencies. Social Connect is a complete Social Media Management Platform that connects directly to your marketing database. Create campaigns, deliver content, engage with your audience and measure your social ROI. Content Stream is our enhanced Drip Campaign solution, designed for creating and managing an intelligent dialog with your leads and customers. Automation enables marketers to plan, personalize, and optimize 1:1 interactions across multiple channels. It leverages real-time customer events and behaviors to deliver the right message, at the right time, via the right channel—throughout every stage of the customer lifecycle. Sync up leads and contacts in real-time, automate tasks, analyze opportunities and influence the journey of your lead or customers based on CRM data events - instantly. Simplify your data list management with a flexible and central relational marketing database that enables optimal segmenting, targeting and lead intelligence. Who's hot and who's not? Empower your sales team with the best leads available by separating the sales ready leads from the leads that need additional nurturing. Measure and analyze the entire journey of every lead with a 360 degree timeline report that details every touchpoint and interaction you have. Assign leads to your sales agents early in the sales cycle or when a lead reaches a specific threshold. When a lead matches certain criteria or exhibits sales-ready behavior instantly alert an agent via email or SMS. Marketing Efficiency Our Efficiency report allows you to quickly compare multiple sales and marketing activities overtime. This insight can help you determine what is working and who is working. Revenue Attribution No matter which report you're analyzing, we'll provide detailed insight into the opportunities and revenue that were influenced by each inbound/outbound activity. Lead Generation While sales teams have bookings goals to hit, marketing teams have lead generation goals. Leverage this report to follow and monitor your goals for a specific period. Top Lead Sources Gain insight into your which lead sources are generating the most conversions, opportunities and revenue. Top Traffic Sources Do you know where the majority of your traffic comes from or which traffic sources generate the high conversion rates? Top Search Keywords Understand which keywords and search engines are producing the most traffic, conversion rates and revenue. Page Performance Understand which of your web site pages or landing pages are your top influencers for conversions, opportunities and revenue. Lead Aging Hot leads and targets should not be allowed to sit idle. With this report you can easily stay on top of your leads based on their last activity. Content Performance Which email generated the most opens, clicks or site visits? Do you know which nurturing campaigns are best influencing your leads? Opportunity Pipeline Do you know the current status of your sales pipeline? How many opportunities will close this week or this month? How many are at risk of being lost? Welcome to your Monday morning sales meeting. Time Machine Do you ever wonder what happened to opportunities that were created in the past? How many opps did you end up winning from Q2? Time Machine allows you to view how opps evolved. Win/Loss Insight How many opportunities does your team win or lose? Drilldown into a wealth of data and compare your win/loss record over a specific period of time. Sales Rep Performance Drilldown and measure the performance of your sales representatives. Understand their individual impact on your sales pipeline and revenue. Funnel Velocity Measure the end-to-end velocity of a leads journey through the top of your sales funnel, all the way to becoming a paid customer. Opportunity Timeline Follow the progress of a sales opp, including every touchpoint that is tracked along the way between your company and your lead. "We were using Act-on and decided to look for something more affordable. We found Inbox25 to be so much more robust than Act-on in the way it integrates with SuiteCRM and Inbox25 will actually do the set up for you." - Kim C.
Send a private question directly to the seller below.